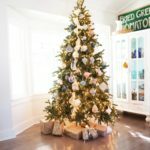 From Hollywood sets to your living room, Balsam Hill provides the most realistic and lush artificial Christmas trees on the market. 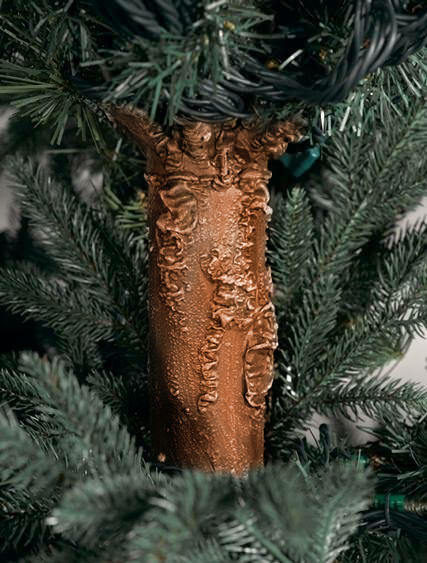 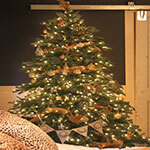 This tree is one of our top sellers, which we featured in our 2011 catalog. 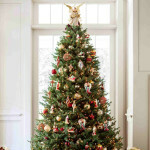 When you start with a tree with this much eye-catching majesty, you want to give it plenty of breathing room so you-and all of your holiday guests-can admire it in full. 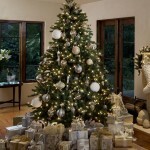 While you may have many Christmas tree decorating ideas in mind, try using plenty of silver and gold Christmas tree lighting as a solid starting canvas. 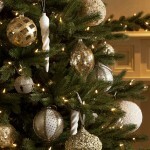 Accentuate simple ball and finial gold ornaments with silver, burgundy, and white ribbon. 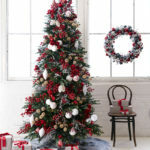 Pile white and silver-wrapped presents high beneath the tree to continue the theme, and hang matching stockings over the fireplace. 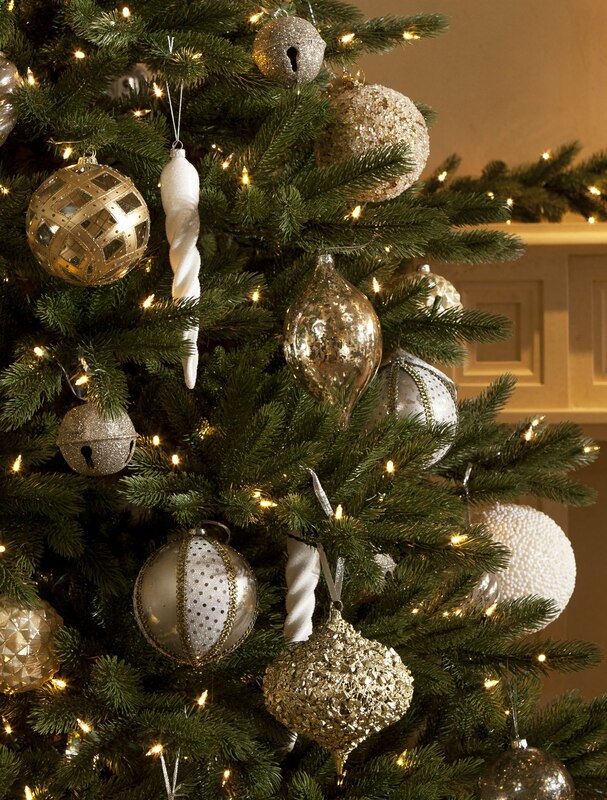 Finish the look with winter lilies, which provide just a light pop of color on their pistols between elegant snowy white petals. 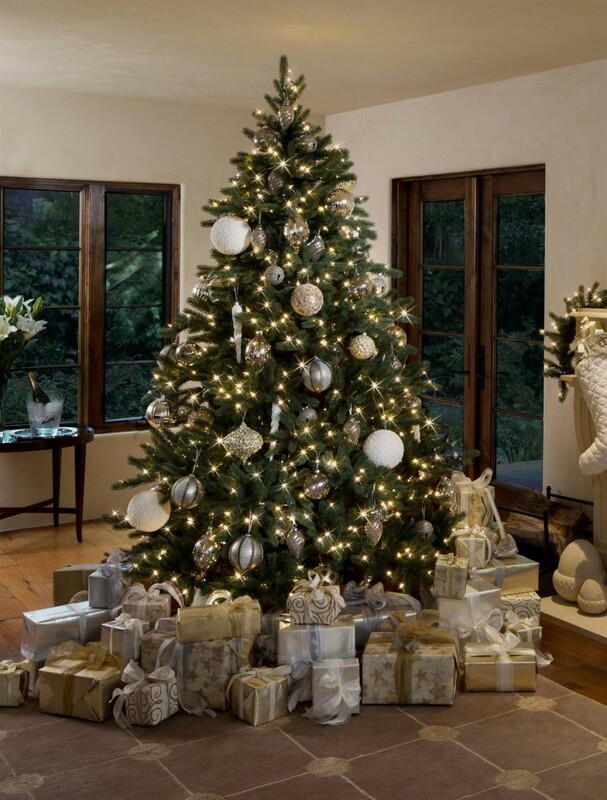 No matter what decorating route you take, your Christmas tree pictures will twinkle with frosted elegance with the Castle Peak Pine™.